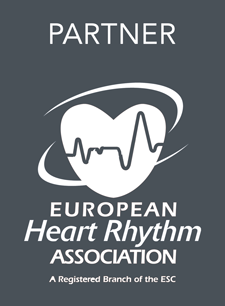 Arrhythmia & Electrophysiology Review is a proud partner of the European Heart Rhythm Association (EHRA). The EHRA’s mission is “to improve the quality of life of the population by reducing the impact of cardiac arrhythmias and reduce sudden cardiac death”. Founded in 2003, the EHRA is a branch of the European Society of Cardiology. The EHRA strives to provide the best possible tools, education and information in international electrophysiology. Becoming a member allows clinicians to connect with a vibrant community of arrhythmia and electrophysiology experts. With its dedicated certification programme, EHRA has set the European benchmark for professional physician certification in interventional electrophysiology and cardiac implantable electronic devices, and for allied professionals in electrophysiology. For more information, visit the EHRA website.